Madison Realty Capital (MRC) closed a $258 million loan facility for an 1161-unit multifamily development portfolio owned by Jack Klugmann’s Accurate Builders and Developers of New Jersey. The portfolio consists of three large-scale, shovel ready development sites located within walking distance of rail transit stations in three New Jersey communities, including Bayonne, Raritan, and a third town that is currently undisclosed. The MRC financing will be used to complete site acquisitions and for construction of all three developments. Shaya Ackerman of Meridian Capital arranged the deal. “MRC thrives on large, complex transactions like this portfolio and we’re excited to be involved,” said Josh Zegen, Co-Founder and Managing Principal of MRC. Harbor Station South, the Bayonne development (pictured top), will consist of 651 units spread over two buildings. 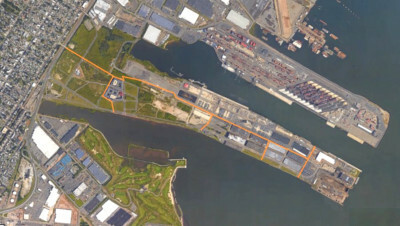 The project is situated steps from the 34th Street Station of the Hudson-Bergen Light Rail system, which provides connections to New York City, Jersey City, Hoboken, and many other destinations. A ferry station is being planned in the immediate vicinity with service to Manhattan and Staten Island. The Raritan apartments are to be sited on the block surrounded by First Avenue, Third Street, Second Avenue, and the NJ Transit rail bed in Raritan, NJ. The project will offer 276 units, including 20 affordable apartments, ranging from studios to two-bedrooms. With the New Jersey Transit Raritan Station a short walk away, The Raritan will provide residents with a simple commute to New York City, Newark, and Jersey City.